Despite having been released a while back, modders are still working on mods that improve the game in several ways. A recent mod, called Visceral ENB, makes the game look better than ever. 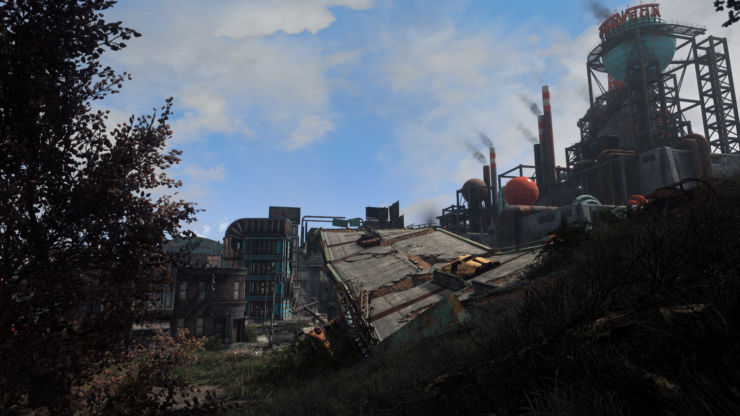 The Fallout 4 Visceral ENB mod, which is fully compatible with other graphics enhancer mods, tweaks the game’s appearance to provide a more realistic visual experience. This is my ENB preset I have been using for awhile now and I decided to share it with you all. For use with Vivid Weathers, True Storms, NAC and Vanilla. The NAC version I am still tweaking a bit in my spare time but it’s definitely playable right now. I will probably update it again before too long. If you get tired of the shadows for any reason just open ENB menu – shift and enter and click enable skyao that will increase shadow brightness, I prefer to play with it disabled. Make sure you have ELFX and make sure you have ENB Lights Overhaul, that mod fixes the vanilla blocky boom into realistic bloom and my settings are based off of it. A video has also been shared, and you can check it out below. Fallout 4 is now out on PC, PlayStation 4 and Xbox One. The Visceral ENB can be downloaded by going here.